Der Artikel Phil Collins: Face Value wurde in den Warenkorb gelegt. Songs und Hintergrundinformationen zur Entste- hung des Albums 'Face Value' mit Beiträgen von Phil Collins, Ahmet Ertegun, Tom Tom Washing- ton, Daryl Steurmer, L. Shankar & Alfonso Johnson. Mit den Titeln: In the air tonight, Behind the lines, Please don't ask, I missed again & This must be love (60 min.). 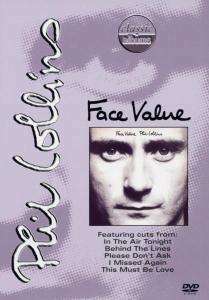 Face Value was immediately a worldwide hit, entering the British charts at Number 1, spending almost six years in the Top 75 and selling in excess of 12 million copies. 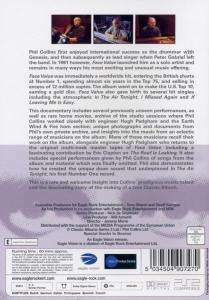 This documentary includes several previously unseen performances as well as rare home movies, archive of the studio sessions where Phil Collins worked closely with engineer Hugh Padgham and the Earth Wind & Fire horn section; unique photographs and documents from Phil's own private archive, and insights into the music from an eclectiv range of musicians on the album.